Universally, a smile can be interpreted and recognized by every culture on the face of the earth. Smiling demonstrates a positive influence on both our professional and personal relationships – and some researchers strongly believe that it also affects our physical and mental health in a positive manner. In a recent poll, nearly 90% of adults agreed that an attractive smile is an important asset in both social and professional settings. Yet, regardless of public opinion and widespread agreement of the power and importance of a smile, many people are insecure with their own. With both traditional and emerging dental techniques, cosmetic dentistry can completely correct or significantly diminish ones negative perception of their smile through a comprehensive approach known as Smile Design. Smile Design requires more than a patient specifically requesting a popular procedure or even generally saying “Make my smile beautiful.” Like any worthwhile undertaking, it entails forethought and planning. 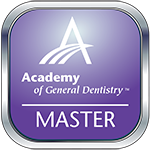 Successful planning begins with an extensive discussion between patient and dentist with the end results in mind. Stretching the imagination and picturing the ideal results can be fun – dreaming is always at the heart of any great planning process, even the creation of a brilliant new smile! When it comes to putting your smile plans into action, you may be surprised at the wide array of cosmetic techniques now at the dentist’s disposal – most which have been in development for decades! Some techniques, such as whitening, bonding, veneering, or enamel shaping, will change the appearance and shape of the patient’s natural teeth. Other techniques, like crowns, bridgework, and implants will provide permanent artificial replacements for missing or abnormal teeth that cannot be corrected with the previously mentioned procedures. Regardless of the techniques involved, the outcome should be the same: The smile you once beheld has been transformed! More importantly, not only has confidence in your smile enhanced, but your dental health has been simultaneously restored! You will be a healthier you and that is definitely something to smile about! If cosmetic dentistry has been something you have been dreaming of – why not make that dream a reality? 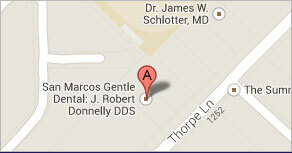 Call Dr. Donnelly today and we would love to schedule you an appointment, 512-396-5225. Voted Best Dentist in Hays County for 2012!